Trigger warning: discussing symptoms, experiences and alternative approaches to mental health matters may cause discomfort in some individuals. Mental health is undoubtedly a loaded term. For some, it can symbolize the heaviest burden in their life and for others, a subtle, or even subconscious, buzz of discomfort that goes with them through life. For mental health professionals and researchers, it symbolizes what motivates them to continue contributing to solutions and coping mechanisms for those affected with mental health issues. Today in age, society is focusing on the importance of mental health more than ever before. This is great news, as it helps break down taboos and build awareness about the signs of mental health decline and encourages us to seek help for ourselves or for others. We are also coming to the realization that mental health can be promoted through a series of self-care techniques, many of which can be implemented into your daily life. One of the key elements that we can do on a daily basis to promote mental health is implement a healthy, body-specific diet. A diet isn’t “restrictive” as we often come to think of it. Rather, your diet is a long-term pattern of eating. Making balanced food choices one day (fruits, vegetables, whole grains, lean proteins, healthy fats, low sugar, etc. ), and eating pure junk food the rest of the week, isn’t an example of a healthy diet. We must make those same balanced food choices continuously for us to have a healthy diet. The connection between diet and mental health may not seem obvious right off the bat. 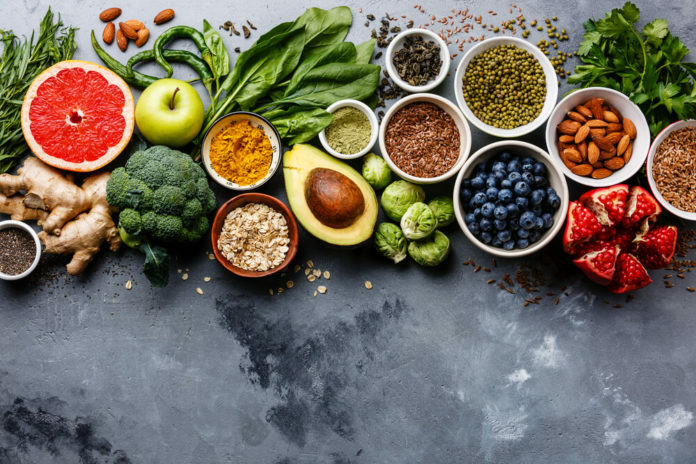 However, if we think of the foods we eat as chemical components, like vitamins; minerals; amino acids; fatty acids; and energy (sugars), they undoubtedly influence our bodies on a cellular level. Food components can boost our energy and concentration, make us feel sleepy or lethargic, and everything in between. So, if components that make up food are able to influence our health on a cellular level, our brain cells are included. Certain foods (and, more importantly, certain diets) will have more of what our brains need to maintain balance and promote mental health, in addition to physical health. In fact, in medicine and nutrition there is something called the gut-brain axis that describes the exact mechanism with which our digestive system is connected to our brain. To inspire you to make healthy food choices, here is a list of 7 foods that promote mental health. Kombucha is a fermented beverage traditional to China, where it was used to treat ailments linked to inflammation, like arthritis and cancer. Today, with the knowledge we have about healthy gut bacteria, we know that Kombucha is one of the foods that can help us to establish digestive balance. What does this have to do with mental health? A healthy population of gut microbiota (‘good’ bacteria) can activate neural pathways that may help to prevent and treat mental illness, including anxiety and depression. Previous articleShould You Have Surgery to End Migraine Pain? Next articleIs Blurry Vision a Symptom or Cause of Diabetes?